​This is a simple family recipe that we’ve been perfecting for years—three wholesome, natural ingredients (four if you count the water in the steam kettle). It starts with crisp, ripe apples, grown without pesticides, herbicides, or artificial fertilizers. Ground up and cooked, the apples are strained to make a smooth puree. 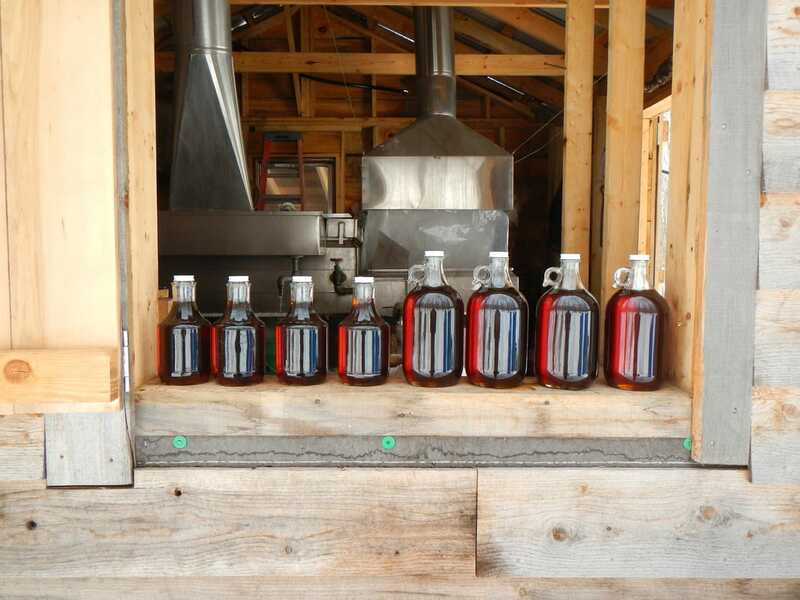 This we sweeten with pure maple syrup, made the old-fashioned way, with a bucket hanging from each tree, the sap cooked down on a wood fired evaporator. To this perfect blend we add a touch of organic cinnamon. That’s it. Once you try a spoonful of out Apple Spread, you’ll probably need a few more before you can put the lid back on. If you have the willpower to save it, you may enjoy Mapple on toast, bagels, biscuits, crackers, pretzels, crepes, pancakes, waffles, or a slice of bread. Try it in a sandwich with peanut butter. Heat it up and pour it over vanilla ice cream for a Mapple sundae. Dab it onto your oatmeal or granola. Use it as a pastry filling. And sneak another spoonful before you put it away. 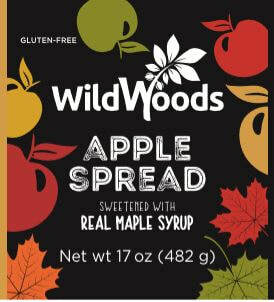 Our Apple Spread is made at our facility in Bruce, Wisconsin, in small batches of about 200 jars. You can stop in for a tour and a taste, browse our store, and enjoy the rich aroma of cooking apples (if we’re making a batch that day). For those concerned about nut allergies: we do process wild nuts in our facility—hickory nuts, acorns, black walnuts, and hazelnuts. However, our nut products are produced in a separate room from our fruit products, using no shared equipment, and we are constantly vigilant to avoid cross-contamination. This product is something we've been working on perfecting for years and we have finally come up with a recipe that we really like. Not your typical "apple butter." In fact, we can't even call it that because it does not have as much sugar as it would need to be called apple butter. However, you'd never know by tasting! 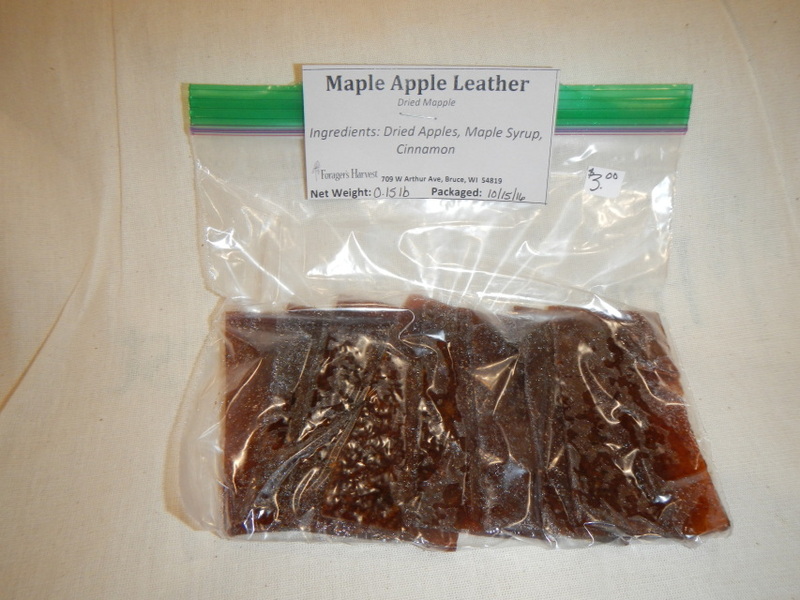 Made from our no-spray apples from our orchard, maple syrup, and cinnamon. That's it! Great on bread, pancakes, oatmeal, or over ice cream. Sneak a spoonful when no-body's looking! Our maple syrup operation near Spirit, WI.